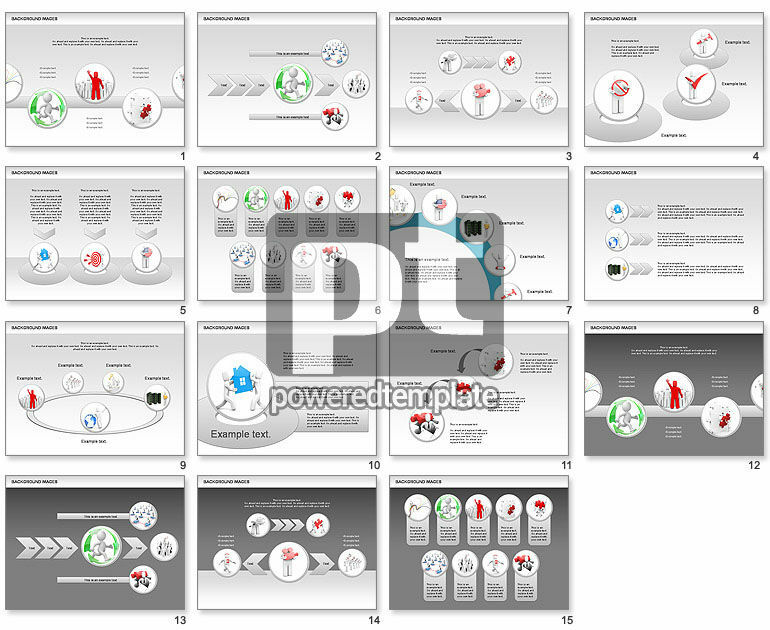 These presentation slides 31299 are complete compatible with Google Slides. Simple download PPTX and open the template in Google Slides. Shapes and Images set will be good choice for various presentations in which you need to show people, people relations, statistic data of team activity, etc.